Gameloft always strives to be among the first developers to publish games on the latest portable hardware in order to provide gamers with heart-pounding experiences on the go. That’s why Gameloft knew Chrome OS was the right home for Asphalt 8: Airborne, the latest entry in its mobile racing series. 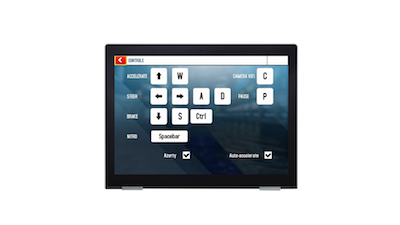 Gameloft was familiar with developing games for different devices, but translating the Asphalt experience to the Chromebook’s unique touchscreen/keyboard hybrid controls, which could be swapped at any time, seemed challenging. However, the process turned out to be as painless as it was rewarding. 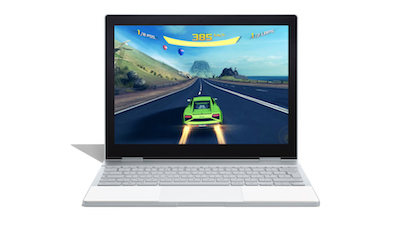 Taking advantage of the Chromebook’s seamless controls and overall power, Gameloft identified several opportunities to improve the experience for Chromebook gamers. Gameloft was able to run Android application packages at even higher performance levels than native apps, allowing it to maintain the series’ breathtaking graphics and breakneck speeds on Chrome OS. Gameloft also added in keyboard controls that were activated when the game detected users were playing on a Chromebook. The game’s UI changes automatically when switching between touchscreen and keyboard controls. 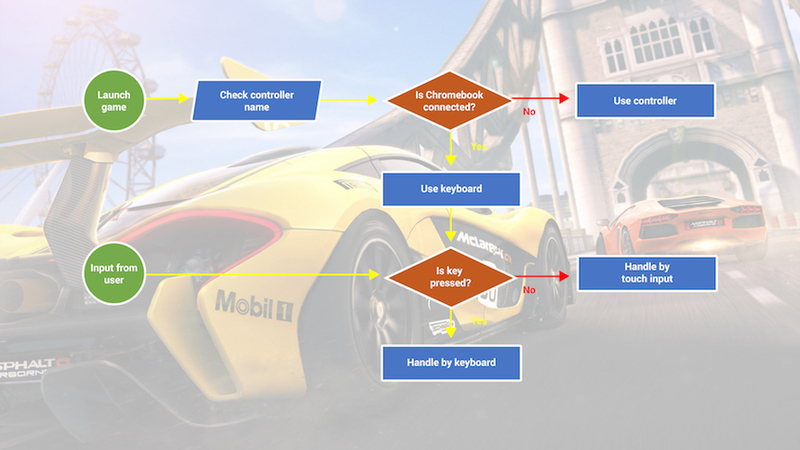 Since the Chromebook treats its physical keyboard like an external keyboard on an Android phone, Asphalt 8: Airborne was able to support Chromebook keyboard controls using APIs from the Android SDK Platform. That meant Gameloft only had to dedicate a few days of development time to completely integrate the new control schemes to the game, resulting in a better end-user experience with keyboard controls. Overall, the stability of the Chrome OS made for a smooth implementation process, with no major development problems along the way. Gameloft also teamed with Google to offer a free pack of in-app items with the purchase of any Chromebook. Upon initial device setup, users redeemed codes for exclusive cars, turbo boosts, and credits that appeared the next time they opened the app. Upon completing the work necessary to deliver a quality experience to their Chromebook users, Asphalt 8: Airborne saw a 6× increase in daily app users and a nearly 9× boost in revenue for the Chrome OS app. The combination of strong results and short turnaround time inspired Gameloft to bring the next entry in the series, Asphalt 9: Legends, to Chromebook as well. It has since become standard practice for Gameloft to support Chrome OS across all of its projects.